The Hail Mary is so familiar that we can often end up saying it without thinking deeply about it. It is still a prayer, still comforting, but sometimes it is good to slow down and really pay attention to the words. 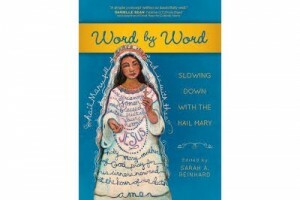 In Word by Word: Slowing Down with the Hail Mary (Ave Maria Press, 2015), Reinhard invited a who’s who of modern Catholic writers to each reflect on one word of the prayer, including the words “the” and “of.” No word is unimportant in this classic prayer. Each reflection also includes a prayer of its own. Susie Lloyd’s humorous take on “Death” is also not to be missed.